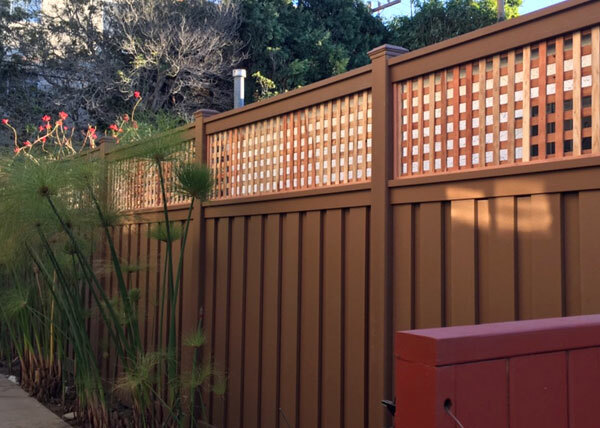 We custom-built this Trex Seclusions lattice-top vinyl fence system in Venice. We are proud to be an authorized dealer of Trex Seclusions' environmentally friendly & durable products. 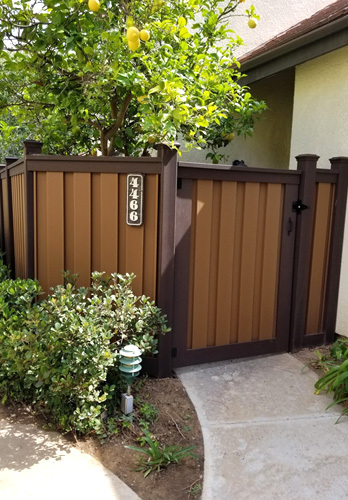 This 6 ft. tall, woodland brown Trex Seclusions fence in Carson was constructed by J&J Fence. Trex offers a 25-year limited warranty on all their residential fencing applications. 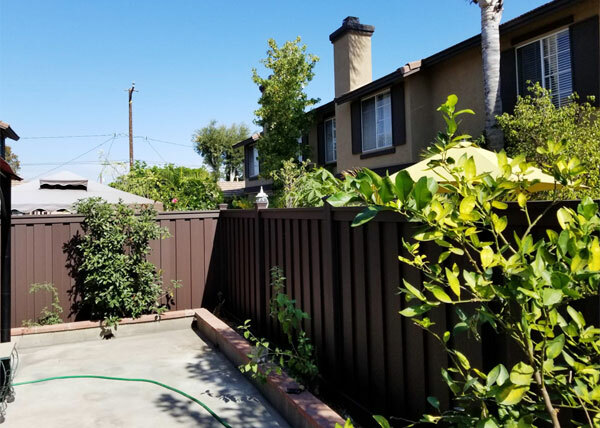 We recently completed this backyard fence installation in Huntington Beach, CA. It featured an 8-foot tall Trex Seclusions vinyl fence system in a rich woodland brown. 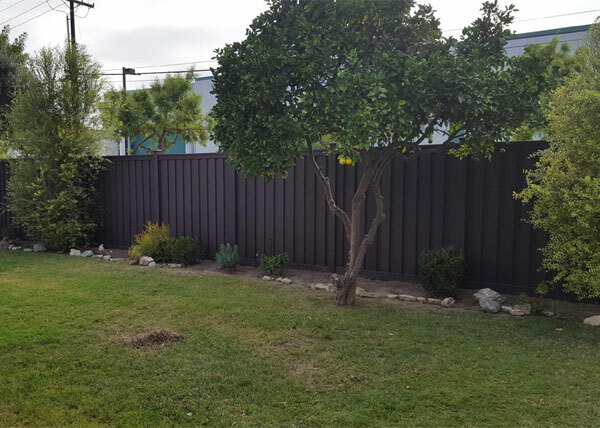 We completed this backyard fence installation for a Huntington Beach residence. 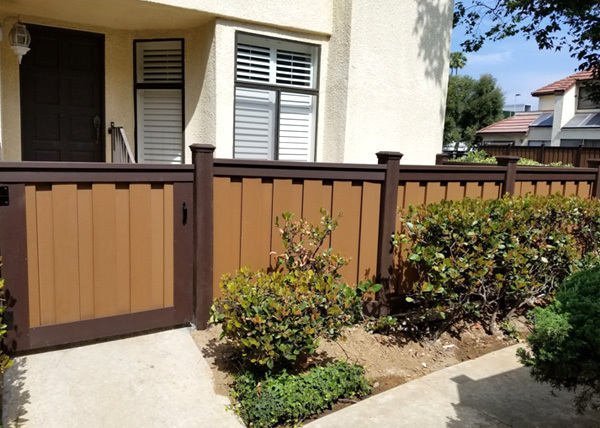 It stands 8 feet tall, and was constructed using Trex composite fencing, a durable, low-maintenance alternative to wood or vinyl. 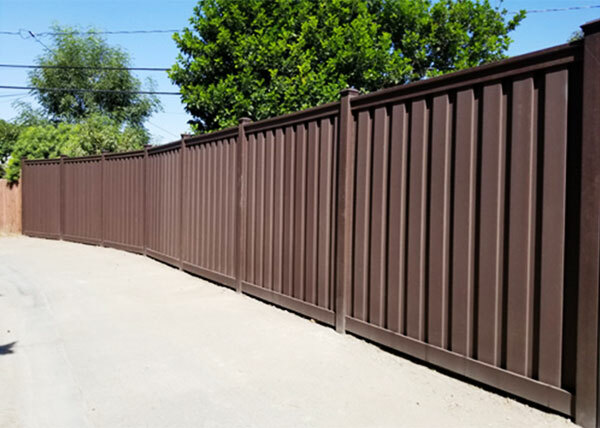 This 6 ft. tall walnut brown Simtek fence installation in Pacific Palisades was designed with a pedestrian gate for easy access. Simtek fencing is extremely durable and requires almost no maintenance. 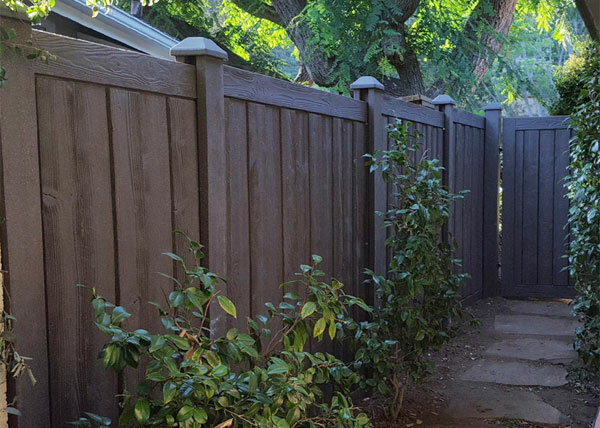 J&J Fence installed this 8 ft. tall Woodland Brown Trex Fence in Long Beach, CA. Trex is a high performance, environmentally-friendly composite material made from 95% recycled wood and plastic. It is fast becoming a popular alternative to wood or vinyl. 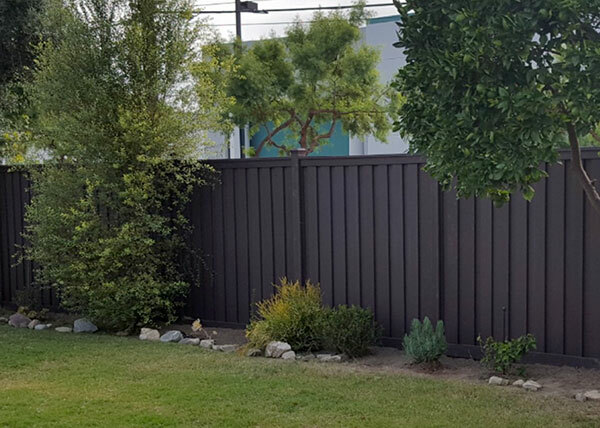 This two tone privacy composite fence in Torrance, CA was built and installed by J&J Fence. Trex Fences are highly durable and low-maintenance, making it the ideal fencing solution for this condo patio. The 6 foot tall fence creates a secluded patio with easy access through the latching gate entrance. I visited this business yesterday 5/26/2017 and met with Tito Gonzalez..brother of Business owner Jesse Gonzalez. As an Outside Sales Mgr. for Vinyl . . .